THE COLORED SOLAR SOLUTION. WHEN STYLE MATTERS! 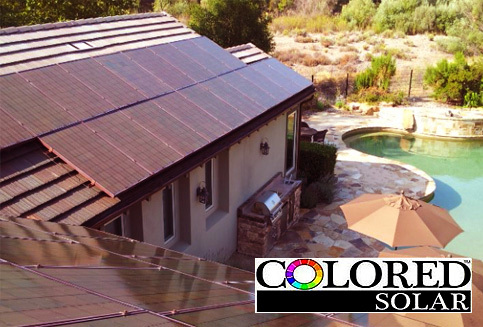 Colored Solar™ blends with roofs to provide the most aesthetic, innovative solar solution in the market today. Each project is unique, and our Resellers have the opportunity to Stand Out From the Crowd to offer your customer a product that they can be proud of. Our technology is solid state, manufactured in the USA, and outperforms solar panels of the same wattage. 19kW of Tile Red 230W were chosen because of aesthetics and installed at this home in Malibu, California. 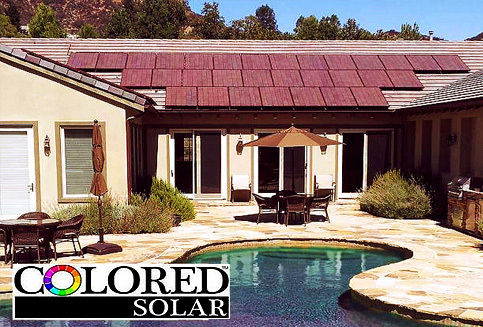 The proud homeowner wanted to go solar but resisted against standard solar panels and waited for more than 15 years, until there was a Colored Solar™ solution. The homeowners association (HOA) in this neighborhood has specific guidelines, and our roof mounted solar panels were approved by their architectural review board. The Customers Electric Bill went from $900/month to Zero! Power Storage is the best way to Harness the Power of Colored Solar™ panels, where the electricity that is created can now be stored for guaranteed usage later. Colored Solar™ distributes, designs, and installs Lithium Ferrous Phosphate (LFP) OES2 power storage technology for our Resellers. We provide innovative high quality, safe, environmentally friendly, made in the USA products that out last any lead acid battery! Also, 20+ Years Of Performance! This 52kW power storage installation is integrated with the Colored Solar™ panels on the roof generating the power in conjunction with the grid. By creating power security through storage and the intelligent management of distributed PV generation with an uninterrupted safe, power supply. with Solar, Backup is Indefinite! There are many advantages of LFP technology which include ~30,000+ cycles, and 95% depth of discharge. Their superior performance with no memory effect, no thermal instability and no heat buildup allow the storage units to be installed inside your home or small spaces without any required cooling, ventilation or maintenance. These 20 units weigh only 1,400lbs and replace the need to buy 80 lead acid batteries weighing 9,409lbs.